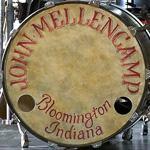 John Mellencamp Community > MELLENCAMP.COM ANNOUNCEMENTS > Ticket & Tour Questions > European Tour?? Will there be an upcoming tour to Europe ?? Germany and Danmark maybe ? It will be so fantastic. There currently are no plans to tour overseas in 2018, it is possible in the future, but there is no plan for it. are there plans for John touring at all in 2018?? It is possible he will not tour at all in 2018, that is unclear at this time. But nothing before end of summer is expected. I too would love to see John in Europe, I have never had the chance to see him yet, as the last time he was in Ireland I was on a business trip that I couldn't get out of.